I guess you could say that one of the biggest things you miss out on with a vegan lifestyle is protein – the easy access to some chicken, a hamburger, even some fish is out of the question but not really missed in my diet. For a long time I was just relying on quinoa for a source of protein but recently a nutritionist turned round and told me that I really ought to be getting more and from other sources outside of quinoa and vegetables, and whilst I initially thought adding other sources would be hard or not as tasty, I’ve been swiftly proved wrong. A few years ago I gave Pulsin Pea Protein a whirl but completely forgot about it until I tried a few sample sachets of their range, leading me to purchase the big bag of Pea Protein from Whole Foods a few weeks ago. Pulsin has a wide range of vegan friendly protein powders including Soya, Brown Rice and Whey depending on how much protein you want or what source you prefer, but I gotta give it up for Pea and Rice Protein. All the varieties are flavourless so don’t worry about your porridge or soup tasting odd, but there is a natural hint which is what gives Pea and Rice the edge over the rest – Rice Protein makes my porridge taste like Ready Brek, which okay, essentially is the same thing but there’s something about the fine texture of Ready Brek that’s quite sweet and powdery and that’s exactly what the Rice powder does to my breakfast. Combine that with some hemp milk and it’s a creamy recipe for success! I love to add the Pea protein into any soups or stews we make now that the weather is getting colder, and it really gives you that boost of energy you sometimes forget you needed, with both powders containing 80g of protein per 100g – what more could you need for a quick protein fix?! Like I said, Quinoa was my main protein source for a long time but I needed a little kick, yet that’s not to disregard it entirely. Quinoa contains 14g of protein per 100g which is pretty fab and contains all nine essential amino acids needed in your diet – not bad for a grain right? I encourage to go put this with everything and anything you eat from this day forth, it tastes uh-mazing. No will.I.am hasn’t moved on, these really are just Black Eye Beans (doesn’t stop me from singing Boom Boom Pow every time I cook with them though) but they do a little bit more for your body than dancing along to ‘Where Is The Love?’ (stop now Lauren). These little beans contain nearly 6g per half cup measure, so there’s no reason not to throw some in your bolognese, curry or soup just for a bit of extra tummy filling, protein boosting goodness. 1. 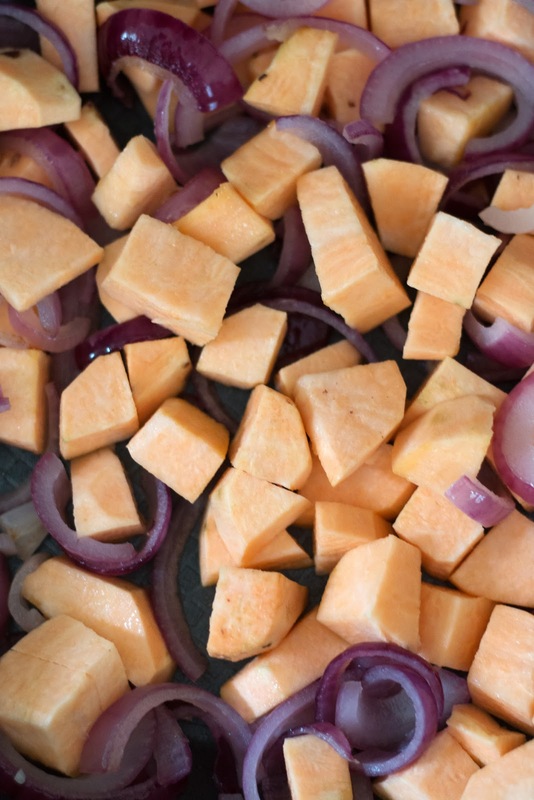 Dice the onions and sweet potato before adding to a pan with melted coconut oil. Allow to cook for 5 minutes on a medium-high heat before adding in the frozen peppers. Leave this on a medium heat for another 5 minutes. 2. 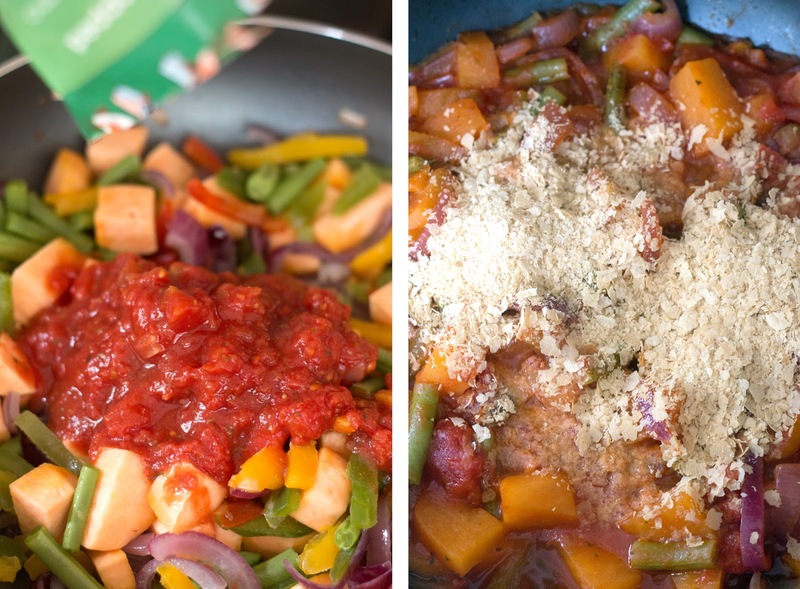 Add the passata, nutritional yeast, stock cube and Pea Protein to the vegetables, and allow to simmer and soften on a low heat for 20 minutes until cooked through and flavourful. 3. Turn the heat off and allow the sauce to thicken as desired, stirring through the quinoa to heat up and combine with the rest of the ingredients. 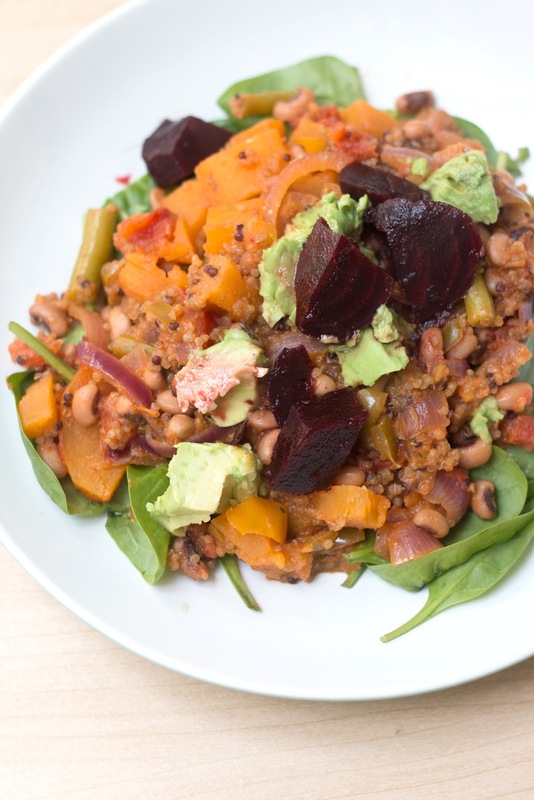 Plate up with some spinach, beetroot and avocado for texture and flavour, and enjoy! 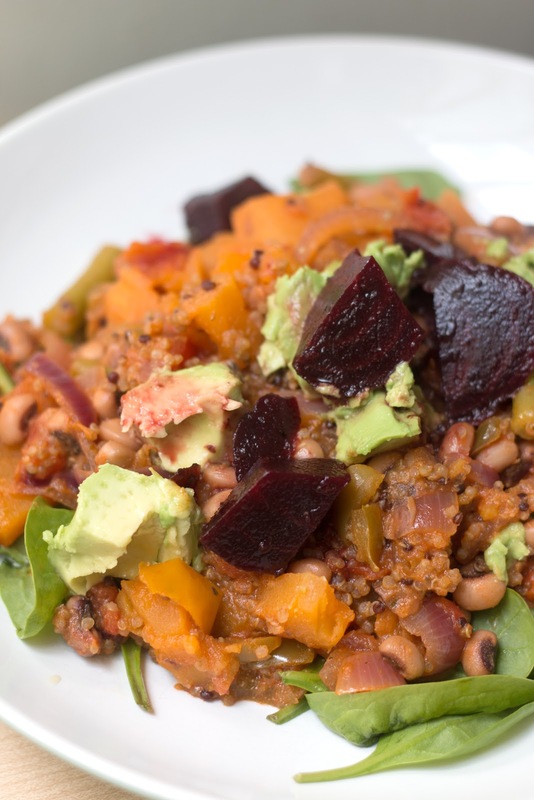 A good ol’hearty dish to warm your bones, feed your muscles and get your body working better, all whilst staying healthy and natural if you don’t fancy having meat tonight! 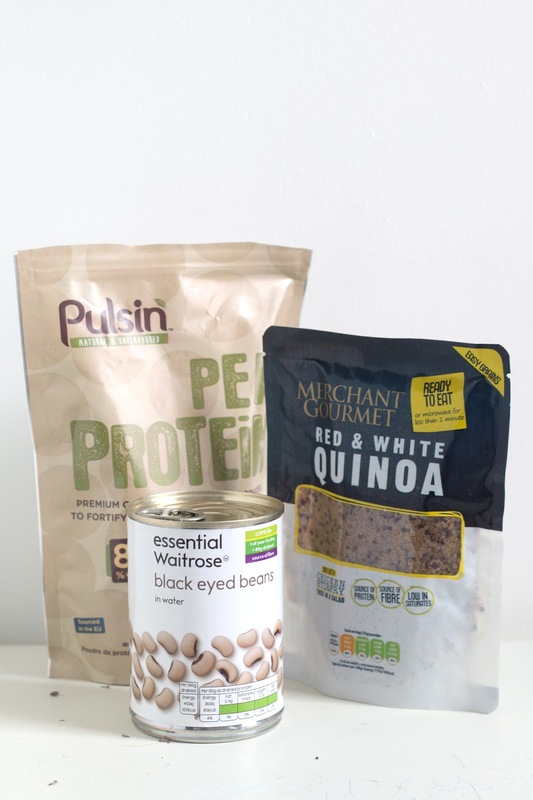 Whether you need extra sources of protein for working out or you follow a similar vegan lifestyle and need a boost, giving any of these three sources a chance in your diet will make a positive impact on your protein levels! How do you add protein to your diet? Have you tried any Pulsin Protein Powders? What is your favourite autumn meal?